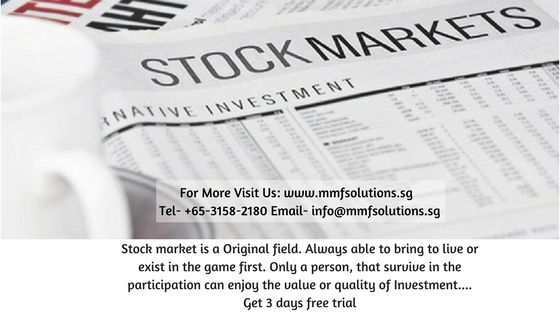 We offer Best Tips for Intraday Package, Those who needs immense benefit In Stock Market with Best Trading Tips, Signals and Recommendations.Get Malaysian positional stock picks day by day. Malaysia Condemns, Bursa Yesterday’s movement brought the composite index closer to support level. Malaysia: The escalation in tension between North Korea and US amid the holiday-shortened trading week on the local front has pushed Bursa Malaysia to open 2.55 points lower at 1,758.59 at the opening bell. At 9.05 am, the FTSE Bursa Malaysia KLCI (FBM KLCI) was 1.54 points easier at 1,759.60. The index finished at 1,761.14 points on Tuesday. Overall, gainers, however, were slightly higher at 127 to 107 with 129 counters unchanged, 1,476 untraded and 46 others were suspended. Alliance DBS, in its note, said the FBMKLCI would likely trade below the 1,764.07 level today. Kenanga Investment Bank Bhd said the local bourse joined other Asian markets to sink into the red yesterday as investors retreated to safe haven assets after North Korea launched a ballistic missile test over Japan. "Yesterday's movement brought the composite index closer to the 1,764 support level which could potentially woo bargain hunters to enter the market," it said. Regionally, equity markets were mixed except the countries that were directly impacted by North Korea's military move which were higher this morning. Japan's Nikkei 225 rose 0.72 per cent to 19,502.54 while South Korea's Kospi advanced 0.17 per cent at 2,368.69. Singapore's Straits Times fell 0.56 per cent to 3,249.34 and Hong Kong's Hang Seng declined 0.35 per cent to 27,765.01. Of the index-linked counters, Maybank eased three sen to RM9.43, Tenaga lost six sen to RM14.24, Public Bank was two sen lower at RM20.56 and Sime was one sen better at RM8.99. CIMB gained three sen to RM6.73. Among actives, Hubline, KGroup and Palette were flat at six sen, three sen and 15.5 sen, respectively while Huann rose 4.5 sen at 8.5 sen, Iris and AAX added half-a-sen each to 17.5 sen and 37.5 sen, respectively. MPI added 26 sen to RM13.96, PetronM rose 15 sen to RM8.75, HengYuan edged up 11 sen at RM7.54 while Genting and MISC both added seven sen each to RM9.72 and RM7.32, respectively. The FBM Emas Index fell 9.31 points to 12,519.46, FBMT 100 Index eased 8.68 points to 12,188.89 and the FBM Emas Shariah Index lost 15.45 points to 12,686.96. The FBM Ace edge up 40.04 points to 6,555.35 and the FBM 70 was 3.2 points lower at 14,950.38. Sector-wise, the Industrial Index rose 3.74 points to 3,187.39 while the Plantation Index contracted 11.46 points to 7,824.44 and the Finance Index eased 4.18 points to 16,580.25. Malaysia local unit was traded mostly higher due to uncertainty over potential political risks. AirAsia do planning to achieve the objective. Quotes copy of Air Asia Bhd of Malaysia stated by The Wall Street Journal. Bursa Malaysia had ensured adequate and robust market management measures & also, strong economic fundamentals and investor confidence. Bursa Malaysia on knee-jerk reaction local stock market as it created uncertainty. Among heavyweights Maybank lost; Public Bank eased; Tenaga fell; CIMB slumped; Petronas Chemicals went up. Bursa Malaysia rebounded; Among heavyweights: Maybank, Petronas Chemicals, Public Bank, TNB & CIMB. For actives: Sapura Energy, YTL Power, Sliver Ridge, Sumatec & MyEG. Ringgit traded mixed, opens slightly lower against the US dollar today on mild profit taking. Malaysia’s currency weakened in offshore trading. Ringgit one-month non-deliverable forward fell 1.7 pct to 4.0461. The Ringgit traded higher also, local note received support from local buyers till now local unit was quoted at 3.9480/9510. Major currencies, the #Ringgit closes higher. Copyright © 2017 All Right Reserved By Multi Management & Future Solutions. Simple theme. Theme images by Jason Morrow. Powered by Blogger.